One of the most important questions during any introduction- What is your Hobby ? What makes this question so popular? May be to start a good conversation, may be it reflects something about a person. Whatever it may be but the point is You must have a Hobby. Minimalism was designed to make room for pursuing the things we love – formally called as HOBBIES. But when we start running behind the resources rather than spending time doing the hobby, the essence of Minimalism is lost. If yours is Listening to Music, organize your folders in such a way that you don’t spend 1 hour looking for a song. Also rather than collecting CDs or physical storage, create playlists digitally and manage your favorites online. If yours is Cooking, keep your food ingredients to minimal required and try to infuse the flavor with only those. If yours is Running, all you need is good pair of Sport shoes. If yours is Gardening, keep it simple with small Garden or Keep it to a manageable amount, where you know you will have the time it needs to devote to it. There is lot of debate on the Internet over this: Can a Minimalist have a Hobby? Can a Minimalist collect things for their Hobby? I am a Crafter, who loves to up-cycle the things. My Hobby demands hoarding, at least little. I used to store my craft supplies at different places in the house which was contributing to the clutter because when I needed to search for a thing, I could not. What I did was- Set up a craft room to keep all the supplies in 1 place in an organized manner and a Craft table where I can comfortably indulge in my Crafts without messing up. I normally pick up the items from my Home and up-cycle them. So, they have a shelf ready or if not, I am now planning to gift them to someone or mark it for online giveaways. I met people who wanted to learn some music instrument but their passion died after few days of buying the instrument. I met people who wanted to learn Swimming but their passion died after few days of buying the swimming dress. I met people who wanted to Blog but their passion died after few days of buying the domain. The best way to keep yourself in check- If you are spending more time collecting items for your hobby and less time doing the hobby. Do not have 3 or 4 Hobbies. You can have multiple Hobbies but this way you may not be having time to pursue them properly. Spend more time Doing rather than collecting. Do try not to leave half-done projects as they never gets done this way. What is your Hobby ? Are you enjoying your Hobby or just limited it to your Resume? I am exactly like this..I pursue too many things at a time and you are so right, I have to leave projects half way. I love your rules for hobbying. May I add one more? If you are not actively working on a project, put it away. It will only add to the clutter, not only of the work area, but your mind. Hmmm.. Unique topic: A hobby and minimalism.. I guess organisation is the key! I am a minimalist by nature, but not the most organised person. There is a fine line though, if you spend too much time thinking whether you really need a thing, the opportunity/motivation sometimes just passes you by. I do have a lot of hobbies and like you have mentioned, I am not able to get enough time for everything and it is quite frustrating. I agree with you, Upasna. Collecting things would sure lead to the unwanted mess. 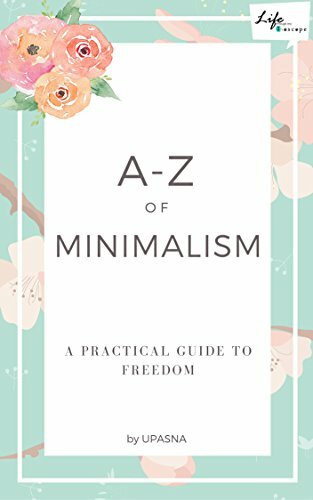 I enjoy reading all your experiences about minimalism through your A to Z posts. Thanks dear !! !